This baby shower cake was a challenge that really paid of! It turned out quite nice, moist and tasty (the ultimate goal). Inspired on the invitation, the idea was to create a landscape flow. From the forest to the desert, to the desert to the ocean and back to coast again. 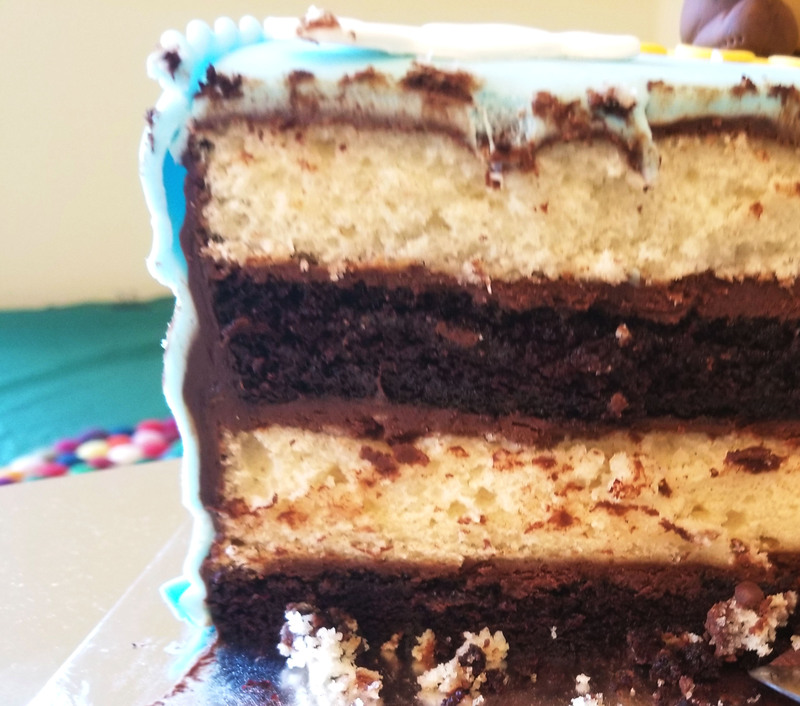 It was a chocolate and butter cake with dark chocolate ganache filling.